A central position in Margriet van Reisen's work is occupied by performances in concert, above all music of the late Romantics and of the 20th century. In November of 2002 Ms. Van Reisen made her Berlin Philharmonic debut in Ligeti’s Requiem under Jonathan Nott, which was subsequently released on CD. This same piece she performed at the Festivals of Santander, San Sebastian, Wien Modern and Salzburg and with Jonathan Nott at the Concertgebouw in Amsterdam during the “ Zaterdag Matinee”. 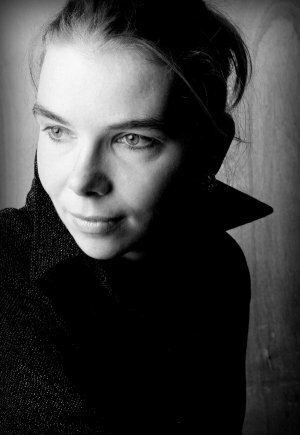 Among other orchestras and conductors with whom she has collaborated are the Schoenberg Ensemble, the Orquesta Nacional de España, the Rotterdam Philharmonic, the Hague Residentie Orchestra, the Bamberg Symphonic and the Symphony Orchestra of Montreal under conductors such as Richard Hickox, Neeme Järvi, Marc Soustrot and Reinbert de Leeuw. In recitals Ms. van Reisen is accompanied by Rudolf Jansen. More recently Margriet van Reisen has made her debut at De Nederlandse Opera as 3. Maid in Strauss’ Elektra, followed by Ilana in Michel van der Aa’s After Life, a coproduction of De Nederlandse Opera with Holland Festival. Revivals of the latter production took place in the Amsterdam and Lyon operahouses as well as at Barbican Centre. She has also made her debut with Third Maid in Electra by Strauss at the Opera in Toulouse (May 2010). Other engagements included the part of Auntie in Benjanmin Britten’s Peter Grimes with the Orquesta de Valencia, conducted by Josep Pons. She made her debut with the Royal Concertgebouw Orchestra in Mozart’s Thamos, conducted by Nikolaus Harnoncourt. And, at the Holland festival 2009 Margriet performed with the Dutch National Ballet in Ravel's Sheherazade. Margriet van Reisen recorded several CD's. Mis (Mass) by Johannes Verhulst with the Residentie Orkest, and the Requiem of Duruflé with the Brabants Orkest. Furthermore, a CD with Lieder by Brahms and by the Dutch composer Julius Röntgen. With the Belgium ensemble Oxalys she recorded a CD with Mahler’s Das Lied von der Erde. Margriet van Reisen was educated at the Utrecht Conservatory and completed her studies at London’s Guildhall School of Music. She was awarded first prize in the Schubert Competition, and received honours in the Queen Elisabeth Competition in Brussels. More recent engagements include her appearance in Le marteau sans maître, by Boulez with “Ensemble Intercontemporain” (Berlin, september 2010), subsequently she went on tour to Japan with the famous “Dresdner Kreuzchor” to perform Bach’s Matthew Passion and Haendel’s Messiah. Last season (2010/2011) she made furthermore her debut both at La Monnaie, Brussels (Parsifal) as at Flanders Opera (Frau ohne Schatten). Amongst her future projects : Beethoven 9 (with the National Orchestra of Belgium), a concert at TCE Paris with Ensemble Intercontemporain, a concert tour with Brussels Philharmonic with Mozart’s Requiem, and her particiaption in the revival of After Life in Australia.